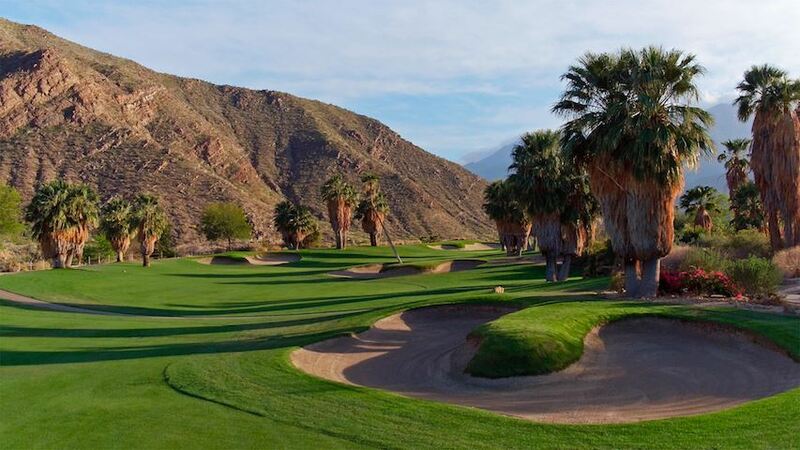 Surrounded on three sides by breathtaking, colorful, natural mountain vistas, sheltered from the wind and nestled at the base of the San Jacinto Mountains lies the jewel of the desert, Indian Canyons Golf Resort. 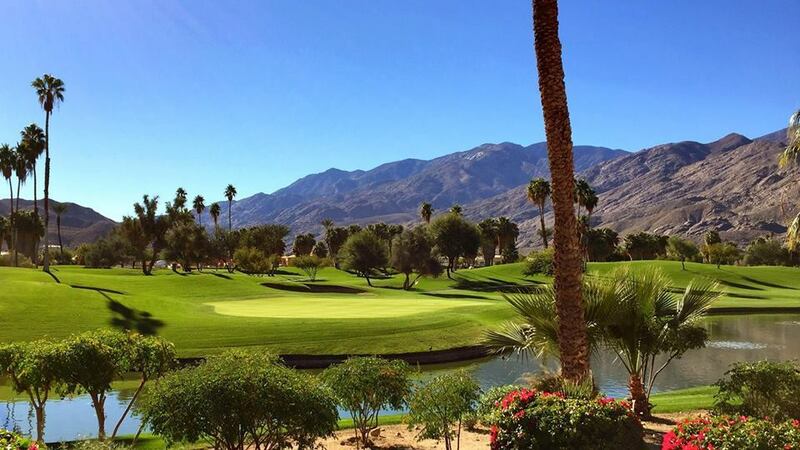 This 36 hole resort is uniquely positioned to offer you an unrivaled golf experience in the Greater Palm Springs Area. The facility offers two very distinctively different golf courses and each is a reflection of its time. The South Course is an 18-hole championship course that was Redesigned by Casey O'Callaghan along with consultant, Amy Alcott, LPGA Hall of Famer. This par 72, 6,582 yard championship course has four large lakes that come into play on six of the holes, but the most extraordinary feature are the 5 five par holes. The course also features rolling mounds and fairways and more than 850 palm trees, including some 500 Washingtonia filifera palm trees native to the Agua Caliente Tribe and an important tree in the history of the Tribe.